I was able to create the perfect conditions to stimulate great productivity. It was like breaking a code, opening up a valve. I'm in the midst of the most creative period of my life and I think you can hear it on this album." After five years away, Seal is back with his new album entitled simply 'Seal.' It's a sublime collection of eleven new songs on a par with Seal's best work to date. The new material is elevated by Seal's rich vocal gift, a voice that has continued to evolve with newfound levels of soul and strength. While the album began to take shape a year ago, it is actually the end result of a long and sometimes painful period of creative reappraisal, a process that began almost three years earlier. "I wrote and recorded a whole other album," he explains. "But when it was all said and done, it just wasn't good enough. It took a while to accept that fact, and a while longer to regain my perspective. But I don't think I could have done this album without going through that experience. It allowed me to begin again, to rediscover what I loved about music and how to best express that love." Rekindling the flame required a radical return to Seal's roots. "I'd been living in Los Angeles for twelve years," he continues, "and the first thing I did was to move back to London where I got started." According to this Paddington born native of Nigerian and Brazilian ancestry, "there's a certain grit to that city, an energy and immediacy that had inspired me from the beginning. It wasn't as if I was trying to recapture anything. I just wanted to make the connection to a place that had always served me well." This included ongoing collaborations with songwriters including Alan Griffiths and Mark Batson, co-credited on Seal. 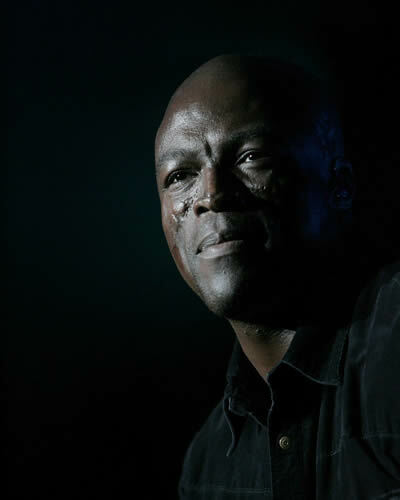 But what really set the wheels in motion was Seal's reunion with long-time production partner Trevor Horn, the man behind the boards for such career highlights as the multi-platinum 1994 album with its Grammy winning smash hit "Kiss From A Rose." "I want to give credit where credit is due," Seals allows. "Trevor is a production genius of the old-school variety. He reads music, knows theory, is multi-instrumental and has the invaluable social skills to motivate people to do what even they don't know they can do. He's got the discipline and dedication to keep obsessively focused on a verse, a chorus, a whole song or an entire album until it's absolutely the best it can be." Discipline and dedication: they are terms that occur again and again as Seal describes the art of his album. As work began in earnest last year with the culling of seventy-five new songs, the artist found himself increasingly committed to the all-but-lost concept of musical expression. "I was reminded of the time when I first started singing and writing," he recounts. 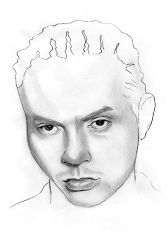 "I'd take my demos around to London publishers and labels but no one would give me a deal. I thought they were completely deaf. Then I heard Stevie Wonder's Innervisions and Electric Ladyland by Jimi Hendrix and I suddenly realized that just having a bunch of songs wasn't enough. It was the whole album that counted. You have to ask yourself with each note and every word, How do I feel when I hear this? That's never easy. You have to constantly dig deeper, pay the price and bear up under the pressure. You risk your health, your sanity and, in the end, there's no guarantee of success." The standard for success set by Seal and his studio team may indeed seem impossibly high. "There are a lot of artists who can do one thing very well," he continues. "But you only get better by pushing yourself in as many new directions as possible. If you get too comfortable, then the listener gets too comfortable, and everybody's bored. We very deliberately took a diverse approach on this album." It's a contention borne out in Seal's own evaluation of his music's impact. "A song like 'Heavenly' is very characteristic of what is regarded as my sound," he explains. "I wanted to make a clear emotional connection but without being too explicit. You've always got to leave room for individual interpretation. The challenge was to find just the right balance between the literal and the ambiguous. On the other hand, 'Love's Divine,' makes a whole other statement. It's a catalyst for something fresh and unexpected and at the same time sets a new standard for me." Concerning the track "Get It Together," Seal asserts, "you've got to have at least one anthem and this one is mine." Ultimately, Seal is a work that justifies the dedication and commitment that both Seal and his team put into the work over a period of time that featured equal measures of inspiration and frustration. "My songs are like kids, "Seal confides. "I love them all. I encourage them to grow, to reach their full potential, and then send them out into the world."